Good Morning people...Catching up on some thank you's to the wonderful staff at CardMaker Magazine. They selected two of my cards for their Summer issue. The card you see above was created with Shaving Cream and there is a tutorial with this card on how you too can make this fabulous swirl creation along with the complete supply list. In another section of this issue, they wanted cards to go along with Movie Night.....and who I ask you does not like the Twilight series (Ok, there may be a few people, but I love them). 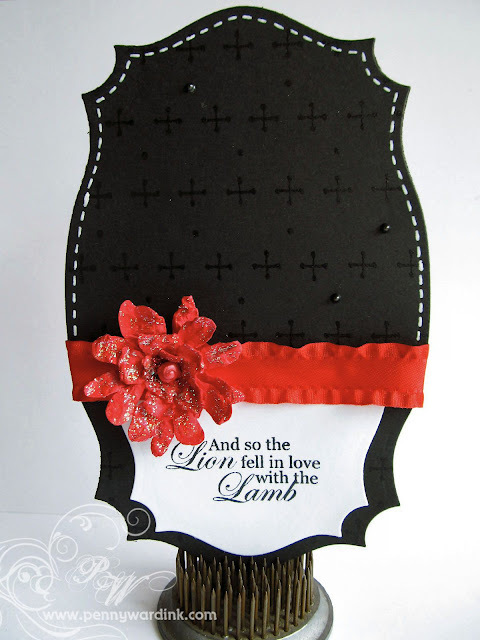 Thank you so much CardMaker for selecting my artwork! Awesome!! Congratulations, Penny on not one, but two published cards. Hooray for you. Congrats! Both of these are beautiful. Congratulations Buddy! Love the shaving cream concept. I noticed both your cards when I went through my issue--great work! I really love the second one--so classic & elegant!